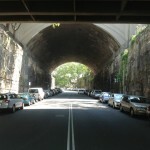 Argyle Street is divided into two sections by the overpass of the Bradfield Highway – Harbour Bridge approaches. 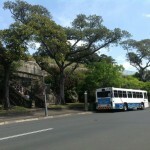 The upper western portion (west of Argyle Street Cut) adjoins Argyle Place Reserve (refer to Listing in this Register). 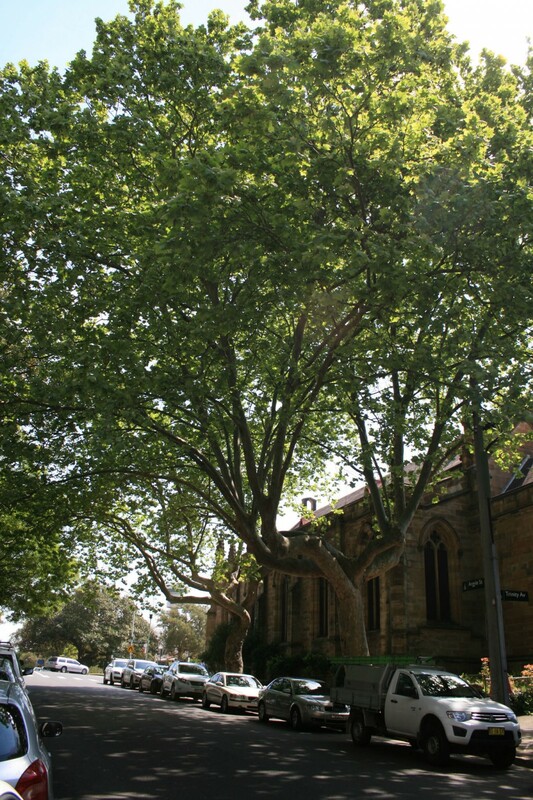 This portion of the street contains the oldest tree specimens including row planting of Moreton Bay Figs (Ficus macrophylla) along the southern verge and two London Planes (Platanus x acerifolia) adjacent to Holy Trinity The Garrison Anglican Church (built in 1840). The senescent figs are in a period of terminal decline. 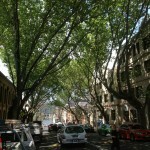 The lower portion of Argyle Street, east of the Argyle Cut, contains two separate and distinctive avenue species – London Planes (west of Harrington Street) and American Cottonwood (between Harrington Street and Circular Quay West). 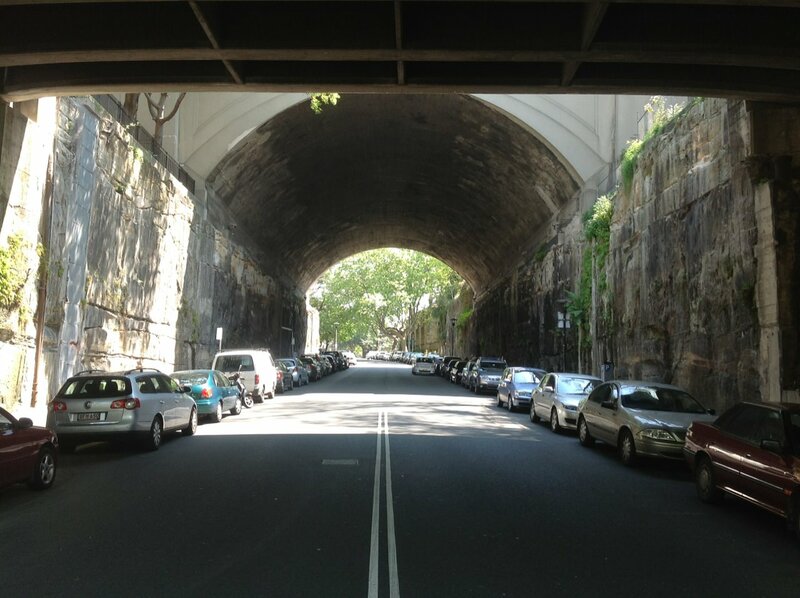 This lower portion of Argyle Street is under the administration of the Sydney Harbour Foreshore Authority. 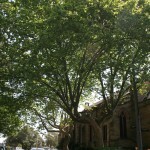 The upper western portion of Argyle Street, contains row planting of senescent Moreton Bay Figs (Ficus macrophylla) along the southern verge and two London Planes (Platanus x acerifolia) adjacent to Holy Trinity The Garrison Anglican Church (built in 1840). None of these figs are of individual significance, however they have group significance at the City/ LGA level (as part of a larger group of figs in this historic precinct). 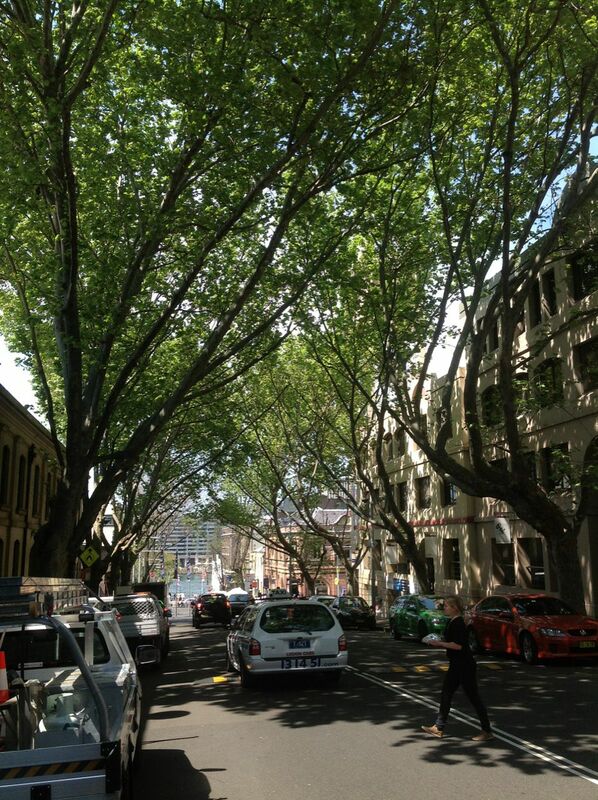 The lower portion of Argyle Street, contains two separate and distinctive avenue species – London Planes (west of Harrington Street) and American Cottonwood (between Harrington Street and Circular Quay West). Although none of the trees are significant as individual specimens, they have group significance at the local level in terms of visual and historic values. 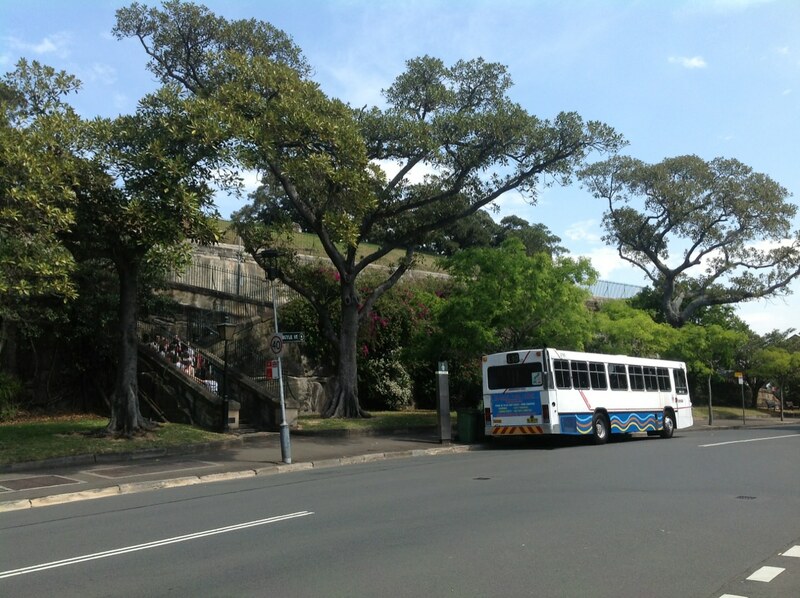 The Moreton Bay Figs (Ficus macrophylla) on the the upper western portion of Argyle Street appear to have been part of a larger informal row planting scheme in this location, possibly planted during the mid-late nineteenth century – recent replacement planting has been carried out within the gaps. The Moreton Bay Fig was a “keystone” species in the design of Sydney’s parkland during this period (c. mid 1800’s) of the city’s development. These figs are still pivotal components of Argyle Place Park (located opposite this row planting) and Observatory Park, as well as many other city parks and reserves (refer to Listings). They provide visual, aesthetic, amenity and biodiversity value in this urban setting. These figs also continue a lush, native evergreen/ rainforest theme and associations with Charles Moore and other pre-eminent botanists, plant collectors and gardeners of this time. On the lower portion of Argyle Street, east of the Argyle Cut, the original planting possibly dates from the Inter-War period (c.1915-1940) with the majority of trees planted over the past 20-30 years. Although none of the trees are significant as individual specimens, they have group significance at the local level in terms of visual, aesthetic, and amenity values. 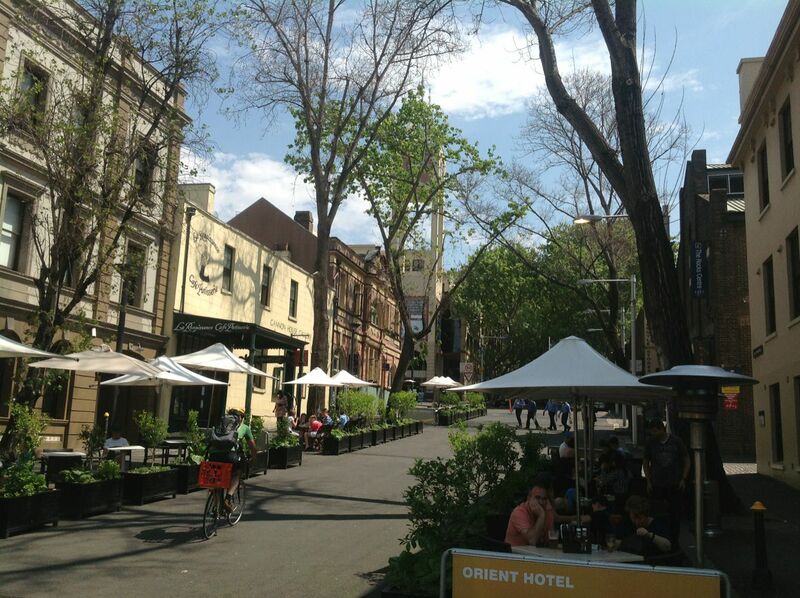 The trees combine to form a more or less contiguous canopy over the roadway and footpaths, which reinforces the intimate scale and character of this historic precinct. 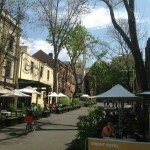 There are relatively few examples of this type of avenue planting within the City of Sydney LGA.